Targeted: Get a 40% Bonus When You Buy These Hotel Points! 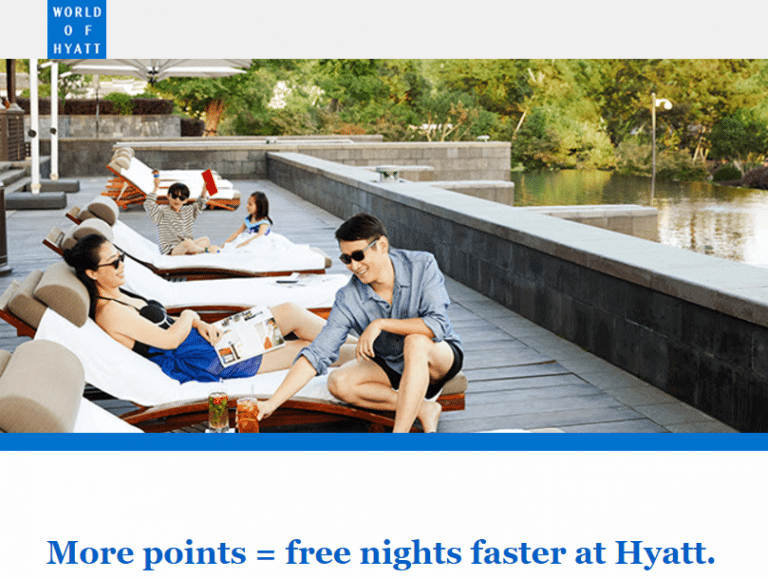 Good news for folks who want to top off their Hyatt account! Hyatt is targeting members to earn a bonus on purchased Hyatt points through October 3, 2017. The bonus is unique to each member, so you’ll have to sign-in to your Hyatt account to see your offer. Depending on your bonus and especially if you have a specific award stay in mind, this could be a great deal! Each Bonus Is Personalized, so Check Your Account to See How Many Bonus Points You Can Earn! Through October 3, 2017, at 11:59 pm Eastern Time, some folks can earn a bonus when buying Hyatt points. Each member’s bonus is different, so log-in to Hyatt or check for a targeted email to see your offer. Team member Joseph was targeted for a 35% bonus, and team member Jasmin received a 40% bonus! But you must purchase at least 10,000 points in a single transaction to get the extra points. You can only buy 55,000 Hyatt points per calendar year. But with this deal, you can purchase even more points, depending on the bonus you were targeted for. For example, if you were targeted for the 40% bonus, you’ll receive a total of 77,000 Hyatt points when you buy the maximum number of Hyatt points (55,000 Hyatt points + 22,000 bonus Hyatt points). Hyatt points usually cost 2.4 cents each. So depending on your offer, this could be an excellent deal! 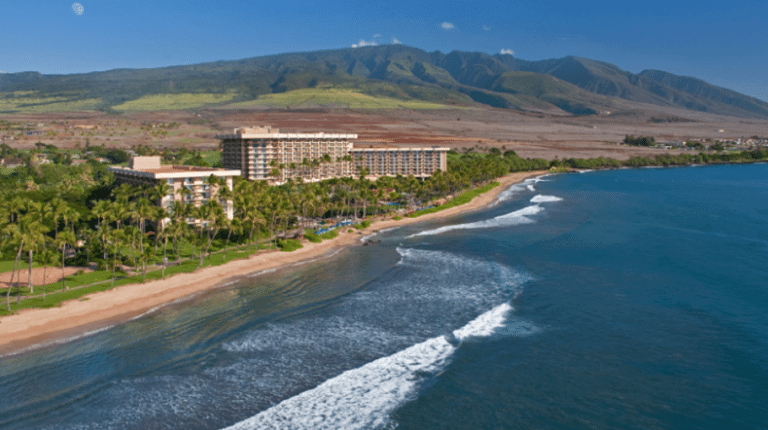 For example, the Hyatt Regency Maui costs ~$400 or 20,000 Hyatt points per night. So using points for a fee night you’d get a value of ~2 cents per Hyatt point ($400 per night / 20,000 points). But if you were targeted for a 35% bonus, you can buy Hyatt points for ~1.7 cents each. And save money redeeming them at the Hyatt Regency Maui instead of paying cash for a room! Note: Because Hyatt points purchases are through a 3rd party, you will NOT earn additional bonus points if you buy Hyatt points with the Chase Hyatt credit card or a card with a travel bonus category. If you aren’t interested in buying Hyatt points, there are other ways to earn them, too. The Chase Hyatt card now comes with 40,000 Hyatt points after spending $2,000 on purchases within the first 3 months of account opening. And Chase’s tighter application rules do NOT apply to the Chase Hyatt card! You can also transfer Chase Ultimate Rewards points to Hyatt! If you have the Chase Sapphire Reserve, Chase Sapphire Preferred Card, Ink Business Preferred Credit Card, Chase Ink Plus (no longer available), or Chase Ink Bold (no longer available), you can transfer your points to Hyatt at a 1:1 ratio. Targeted folks can earn bonus points when purchasing Hyatt points through October 3, 2017. While this promotion gives you the opportunity to buy Hyatt points for cheap, you’ll still want to do the math to see if the promotion makes sense for you. But buying points for an award stay instead of paying cash for the room could save you lots of money! The best deal I’ve seen is a 40% bonus. But let me know if you were targeted for an even higher offer!